The quickest way to learn is by mimicing. Watching over someones shoulders and copying what they do. Then, take what they do and make it your own. Quick Start Tutorial is based off this idea. 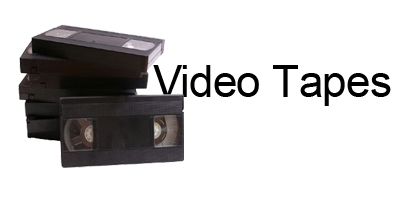 You can save hundreds of dollars by buying a video instead of going to the expensive one on one class. You can save hours of your time by removing the technical book and travel time to classes. Imagine in a few hours having the understanding and basics of a craft or skill that would normally take a semester and a few thousand dollars. 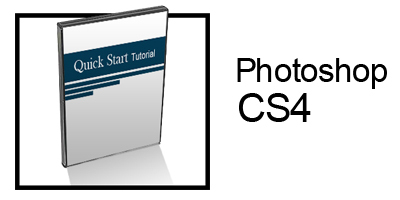 Quick Start tutorials provides the information to understand the tools in Photoshop CS4 to create high impact flyers business cards, CD covers, and marketing materials. New products, businesses, and events continue to populate. These products, businesses, and events will need flyers business cards, logos and websites to distiguish themselves from the competition. They will need graphic artist to help them craft their messages. Quick Start Tutorials will give you the knowledge and confidence to attract those jobs and make a few extra dollars. Test it out and let me know what you think? 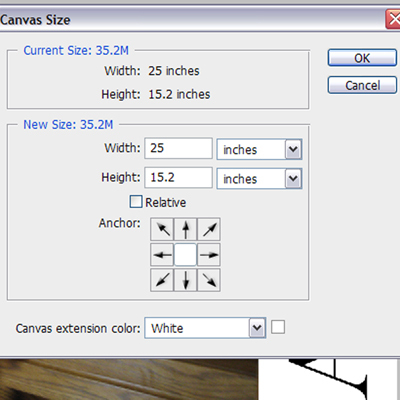 To resize your canvas in photoshop you want to go to IMAGE –>CANVAS. There are two ways to change the canvas size. In absolute method you put the entire size of the image. If you start with a 4in by 6 in canvas and want a 8in by 10 in canvas then you would put 8in by 10in which would result in an increase in the canvas size. The background color will appear. In the relative method you would check the box name relative. Then you would only enter how much you want the canvas to increase by. Therefore if you have a 4 by 6 image again and you want to increase the borders by .5 inches then you would say1 in for the width and 1 in for the hieght. You can also just add canvas to one side by changing the anchor. Changing the canvas size adapts to increasing as well as decreasing. Check out the video below. Recieve free video tutorials sign up by clicking the link below. Here is a quick video tutorial on how to navigate Photoshop for all you newbies out there. Hopefully this is helpful. If you like this then sign up for a free 6 part E-course on PHOTOSHOP. 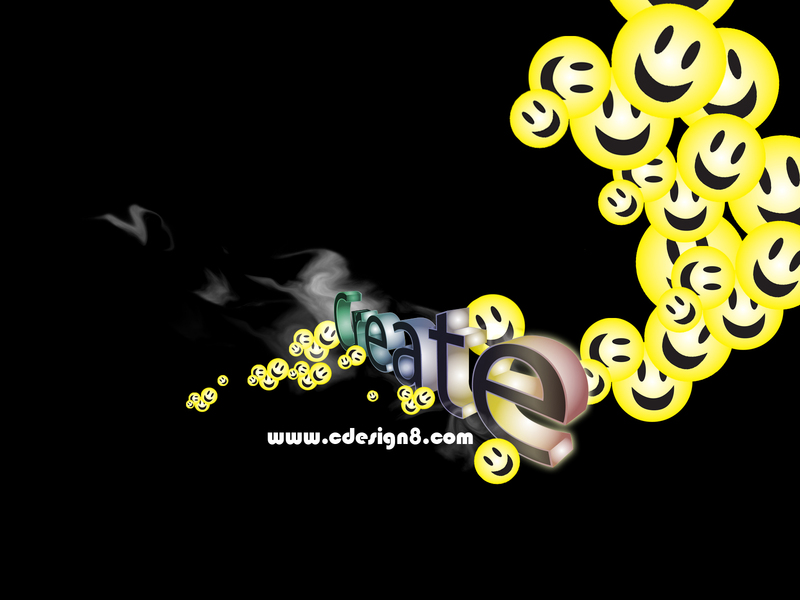 Go to http://www.cdesign8.com. You will instantly download the course after sign up. Enjoy! I took some time to video a tutorial. Hopefully first of many. I hope you enjoy the video. If you would like more tutorials check through my blog and sign up for email notifications of when the next tutorial is posted. 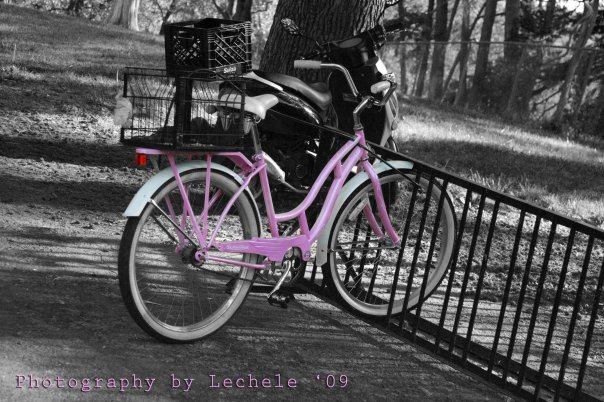 If you liked this video tutorial there is more go to www.cdesign8.com and sign up for the free photoshop e-course. Over the past couple of projects it has been pressed upon me time and time again on how special the relationship is between the designer and client. You would think that after doing X amount of flyers/ logos/ websites etc. I could get burned out with creative ideas. Well not so, the reason is because I am not creating from my own inspiration but from the clients. The client is actually doing the creating of the flyer / logo/ or website. Therefore it is important for the client to have a good idea or direction the project needs to go. I find that if the client has no idea of which direction they want the project to go then they do one of two things. 1 They spend more money then they really wanted. This is done by having multiple revisions and redo’s or hoping from one designer to another. Although some artist charge by the job remember if you burn them the first time around good luck with trying to work with them again. They will remember how much time and effort was put in for the little compensation. 2 The client get up set with the artist because they are not seeing what they want. Its pretty much a lose lose situation for the client. to remedy this issue your graphic artist should always recieve some type of creative brief from you. This creative brief should outline what you are looking to receive as an end result. If the creative brief is open ended expect your project to be open ended. An example of a creative brief can be found here PDF file. Although designers and artist are creative they have to listen and internalize what the client wants. Writing your thoughts on paper for the designer will make it plain and concrete. So, when you are looking to hire a designer/ graphic artist make sure they are really listening to what you are looking to have as an end result. If they don’t have you fill out a creative brief I would second guess that artist. Well thats all that was on my heart this week. Next week I will be back to creating tutorials for photoshop and illustrator. Next week I will create a tutorial on how to create reflections. If you would like to receive the tutorial as soon as I post it please sign up for the email list. This has been such a good year for me. Creative Graphic Art website has increased traffic from 10-15 views per month to an average of 300-400 views per month over the last year. As a thank you, I am offering a free logo design or webpage or flyer design for free no strings attached, which ever you choose. Click on the link below and fill out the form. I am looking for small business owners, hair and nail techs, Pastors, Doctors, laywers, and anyone that need to get a message out. I will notify you by email on Dec 16th. If I currently work with you feel free to put in your request, all are welcome. Again thank you for such a great year. Iam excited to show you all what I have planned for 2010. 1. Tell us some background information, your education, what you do, how long you’ve been doing it. Career wise, I am a legal secretary and entrepreneur. I attended Business College after graduating from high school and soon after obtaining my training certificate I became employed with a prestigious law firm in the City of Richmond. 2. What made you become a photographer? All I can say is that my gift made room for me! Photography has always been a hobby. I was the family member or friend who always had the camera in my hand for all the special occasions. One day I was approached by the church photographer to assist with special church events and when the lead photographer left the ministry, I became the lead photographer. One day a member asked if I took portraits. My response was, “I never thought about it, but I’m willing if you are!” BAM! Thus my photography business took flight! 3. In the beginning how did you market yourself? Marketing came by word of mouth, and people showing interest in my work. I currently market myself by offering special package deals through my Face Book Fan Page and my personal website. 4. What tools do you use, software and hardware any special camera you like? I use Photoshop, PhotoStudio, Picasa and any other freeware that proves to be useful. I have a HP laptop computer and several external hard drives to store the tons of photos I have taken over the years. 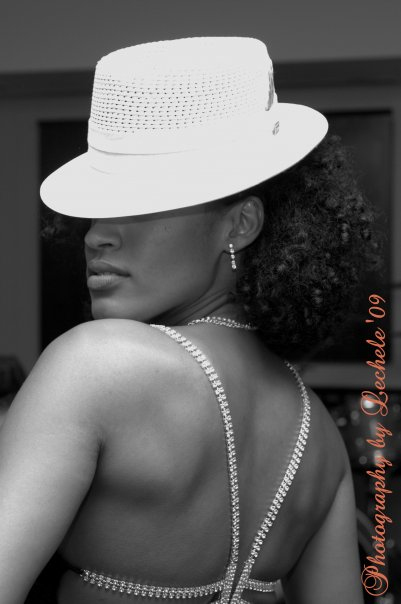 I also own studio lighting equipment with various backdrops and props. My first DSLR was a Canon Rebel, which has now become my backup camera. I love and mostly use my Canon 30D DSLR camera for all my photography. I look forward to the day I will be able to own a Canon Mark III! 5. How do you manage the business side? That’s the hardest part! I try to keep it as simple as possible. My husband is self-employed as well and he helps me out a lot! 6. Where and how do you get inspiration to create and generate ideas? Wow, that’s a great question! I get inspiration through so many things,I get inspiration through so many things, people, music, the internet and mostly prayer! I have a lot of people who encourage me and inspire me to continue going forth in this challenging, yet rewarding field. 7. What is some advice you can give to people just starting out in photography that you wish you had known when you started? I think I would share the same information that was shared with me . . . find your style! Try not to be an imitator of what is already out there but find what makes your work different and stand out from all the rest. 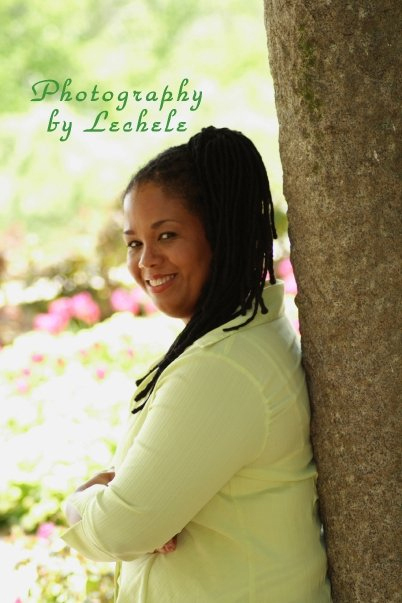 Lechele thank you for taking the time to share your story, insight, and a piece of your life with us. Please visit her site a take a look at her work.